Pogba's relationship with Ole breaks down? Manchester United midfielder Paul Pogba is understood to have experienced a rift with Ole Gunnar Solskjaer, who was announced as the permanent head coach last month. The France international has managed to transform his game during the second half of the season under Ole, but he has recently experienced a dip in form. According to Le Parisien, the relationship between the midfielder and manager has reached a new low in the past few weeks and that could witness the former's departure from Old Trafford in the summer. He has been linked with the likes of Real Madrid over the past month, but United seem determined to keep hold of his services with more than two years remaining on his current contract at the club. 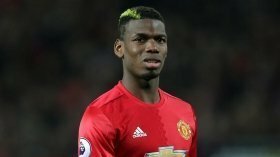 Pogba played through the entire 90 minutes of the recent Champions League quarter-final first leg against Barcelona where United suffered a slender 1-0 defeat. He is expected to feature in the weekend league clash against Watford at Old Trafford.